The Millennial generation begins around 1981 and ends around 1998. They are not junior high and high school students. (They are part of what's called Generation Z or sometime "iGen.") Millennials are now legal adults. They're starting careers, getting married, starting families... They're not still in high school. Are Millennials Interested in Family History? Short answer: Yes. Longer answer: When it comes to the things in our family history (like family heirlooms and keepsakes), millennials "need to have a reason." It isn't enough to just pass down a vase and expect someone of my daughter's generation to want it (and keep it). Whose was it? What is that person's story? Why is this vase special to us? But what about the family tree? Do millennials care about knowing about their ancestors? According to Rachel, they do. When her friends find out that I'm a genealogist, a common reaction is, "Oh my gosh, I've always wanted to learn about my family tree." They just don't know where to start. DNA is also popular. Many of her friends have either taken a test or are interested in taking one; some even have the goal of traveling to an ancestral homeland. Rachel observed that one of the biggest hurdles for millennials to find out more about their ancestors is knowing where to start. Going on Ancestry quickly becomes overwhelming. "There's so much here." So how do millennials find out how to research? Well, they aren't learning it from genealogy societies. In referring to her friends who have done some genealogy, "This is going to sound bad, but I don't think they realize that they're a thing." I asked Rachel if the thought of doing research is something that is appealing to millennials or if it's a turn-off. "I think in general the idea of research is unappealing, but if you phrased it as 'learning about your family history,' I think that's more appealing." Rachel noted that the millennials who she knows love to learn. So rather than planting an image of being stuck alone in a study carrel in the deep corners of a library, appealing to their love of learning lets them know they can enjoy the process. What Do Millennials Hope to Find? "I think they're trying to find themselves in a way. They're trying to figure out their path. We're beginning our careers, just finishing college, starting families and stuff and all of this change is happening. Like you're moving out of your parents' house, you're buying your first house or getting an apartment, you're starting a career. You're doing all this and it's easy to forget where you came from in all that change. So I think when millennials are trying to do their family history, they're trying to figure out what happened to bring them here? Like what did their parents do? What did their grandparents do? Where did their great grandparents come from? How did all of that get to be you?" "I think that's what a lot of millennials are trying to find is who they are, where they came from and why." A millennial speaking about #familyhistory: "What a lot of millennials are trying to find is who they are, where they came from, and why." Rachel offered this advice for anyone wanting to get the millennials in their lives more interested in family history: Just talk to them. "Just talk to them about it and make that connection." What has been your experience with the millennials in your life when it comes to family history? If it's been positive, what worked for you? If not so positive, has anything here given you any ideas of what to try? This entry was posted in Podcast and tagged millennials by Amy Johnson Crow. Bookmark the permalink. Much appreciated. It is our responsibility to sell it to the younger generation. There is always an heir apparent out there we just need to find the one that cries when you give them this. I did! Thank you for sharing. I would love mine to be more interested – perhaps the piles of papers not yet filed puts them off!!!! You might be onto something there! I don’t know of many people (of any age) would would be excited about getting involved with something with piles and piles of papers. I found this very interesting, and it’s going to be very helpful in figuring out my approach to writing my family history. I’ve noticed an incredible growing number of millenials who, when they learn about their family history (not research), do so solely on their phones. To me, this creates a barrier keeping millenials from learning more. The number of screenshots I’ve seen posted or received is staggering. To me, using a phone is a huge stumbling block — how can you see documents properly? To you, it’s a stumbling block. To someone who is always on their phone, it’s instant access wherever they are. My niece recently visited. She made a big deal about wanting to learn about my genealogy. But, when I showed her a tree, she said “But Aunt Cindy, I want to know the stories!” So, we spent the day telling stories. This spawned a story telling class at our Center for Lifelong Learning. Ha. Sounds like me! (I’m also a millennial.) I wonder if that’s part of it? We want the stories. However, I’ve also learned that it’s not like the shows where you just click on an article and learn your great grandfather tried to stop a bank robbery and died a hero. It’s more like you look at the tree sideways and deduce a lot of stories that way. For instance, I uncovered a LOVELY story – just using a 1911 census. (Canada.) My great grandfather named two of his children after family members, but the name of his eldest child seemed random. Well, doing the research, I saw that in 1911, he lived with a family at a hotel. One of the family members names was the name of his eldest daughter. I asked my grandmother about it, and apparently she was a dear friend who was with him right to his very last days, when he was sick and she was helping my great grandmother care for him. But anyway, that story wasn’t really anywhere to be found, I just had to do some detective work. I’ve uncovered similar stories. Sadly, you don’t always have a lot of resolution or confirmation, but you can get a sense of what happened in their lives and what those reasons may have been. It’s not all just random names on a canvas. Hi Amy! Thanks for the insightful blog into millennials. I have two sons, who are millennials, but as a retired high school teacher through Facebook I communicate with many more. Millennials have their plates full, as I did when I was in my late 20s & 30s. So I find giving millennials short little stories grabs their interest. For example: In Michigan we are in the grips of the Polar Vertex. I laugh when the weather person says you haven’t lived through these extreme temperatures. I checked the national weather website: I survived colder temperatures in Chicago not only once but twice – January 1982 & January 1985. My memory did not serve me wrong. BUT yesterday I posted on Facebook that it was the 74th anniversary of the sinking of the Wilhelm Gustav off the coast of Koenigsberg (now Kalingrad) with the loss of over 9,000 lives. On the night of January 28, 1945 my mother walked 5 miles in -18 degree weather escaping the Russians. As a Red Cross nurse, she then spent the next six weeks holding the hands of dying soldiers and country men. Writing letters, etc. Wow – I can’t imaging being out for hours in these extreme temperatures running for my life with bombs dropping all around. So my point – my children could identify with this story, as we worry about keeping the furnace running and staying warm indoors. As a retired high school, I chuckled about not using the word “research.” I agree about genealogy societies not being useful. Much of their information, one can find on line. Often the members are not very inviting and very opinionated in their point of view. Thanks for your blogs. What a story about your mother. I hope you’ve recorded that somewhere! You’re spot on about the busy lives of millennials. It can be hard to fit in the time when you’re starting your career, starting a family, and trying to figure out where you fit in the world. I’m a millennial who does genealogy research (or “learning”). I got interested in it as part of an assignment in high school to learn about our roots. After talking to my grandparents and a great-grandmother I had who was still living at the time, I became fascinated with the stories they could pass down about their parents and grandparents, and trying to prove or disprove some of the family legends they had heard. As I continued to research off and on (thanks to the demands of high school and college), I kept looking more and more into the stories of the people I was researching. That’s where you make the connection to your ancestors and makes it meaningful to me. Sure you can give them a family tree with names and dates but if they don’t know who this person is and that they fought with Napoleon or that they were a shoemaker (so our love for shoes is in our blood!!) – it’s not going to mean much to them.You need to bridge a connection between their life and the life of the millennial. I feel very strongly connected to my ancestor’s who have gone through similar struggles that I have gone through and even those who have struggles I haven’t went through, I’m empathetic to them by putting myself in their shoes and imagining what it would have been like to set sail for a new country with next to nothing in belongings. I’ve written out all the stories of my ancestors I’ve been able to discover and put it in a book form that I made copies for all my grandparents, aunts, uncles, and cousins and everyone loved it and loved having something like this to pass down to their own children. My cousins who have young children have even said their kids love to look through the book and look at the photos of our ancestors and see their own name in the book too. It’s all about making that connection, isn’t it. Thanks for sharing! Katy Stilp–I appreciate what you are doing for your family. I’m an oldie goldie, and I do belong to genealogical society that has mostly oldie goldies. I am asking you for permission to publish your comments above in our monthly newsletter. It might give some of us a nudge to reach out to our family millennials. Keep up your passion to know your ancestors and to introduce them to your family. I have to say that this article itself could be a small part of the problem in that it posits millenials as complete outsiders to genealogy. I am a millennial and subscribed to your blog. I don’t see any problem with anything you have said at all, and there’s lots of helpful tips for people in this situation, but I think it would be beneficial to include a simple statement that some of your readers will be millennials, though I’m sure we’re a minority. As you point out, millenials are older than some people seem to realise, but I’ve been researching my family tree for 10 years now, and though I might be a little unusual amongst my generation I know I’m not the only one. I’m in lots of genealogy groups on Facebook and though I know I’m on the younger side, I only ever start to feel unwelcome when people start talking about millennials like we’re not there and reading too. Perhaps you mentioned this in the podcast, I’ve only read the article. I’m sorry that my first comment here is critical! I do really enjoy your blog. We talked about it in the interview, but I started doing genealogy (with intention) when I was about 25. I, too, had the experience of people discounting my work and my desire because of my age. There is wonderful work being done by genealogists of the millennial generation. I don’t want to discount that at all! My goal was to help people realize that they shouldn’t assume that millennials don’t care. I posed that question because the issue I was addressing in this specific post was of older generations not recognizing that millennials are interested. It isn’t that I don’t know I have millennial readers. But the issue that I’m trying to put a spotlight on (older generations not recognizing millennials) needed, in my opinion, a question of how members of the older generation sees their interaction with millennials. I’m glad that you and others have joined in the conversation. I’m a genealogist and a millennial (born 1990). Most of my clients are actually my age or slightly older, and have young kids. They ask me to put together info on their families so their kids will know where they came from. I think it’s the idea of “where did I come from” that hits home with us. We kind of feel like a lost generation in a way – the first to be worse off than the generation before, the first to grow up with rapidly changing technology and the Internet, then listening to older generations tell us all we care about is social media and selfies. I’ve been to many a repository where staff wouldn’t let me handle records myself (while letting older people) because of some perceived immaturity with my age. It’s frustrating and it happens all the time and it for sure turns a lot of us away. That is so frustrating! When I was the “young kid on the block” (having started genealogy when I was in my mid-20s), I also ran into people who didn’t want to trust that I knew what the heck I was doing. (Though I never had someone outright refuse to show me a record because of my age.) As for selfies, I content that millennials do a MUCH better job than any generation at documenting their own life. As family historians, we need to include ourselves in the family history! I agree with Cindy. My millennial children want the stories, not the family tree. Millennial genealogist here! I agree with a lot of what you said. With regards to genealogy societies, I think one of the problems is that a lot of us live far away now – either because we ourselves moved, or our families did before us. Not to mention immigration. I’m obviously way too far from the European countries my ancestors hailed from to do research there. Regardless of location, it isn’t always clear how many are willing to help people who can’t just pop in and visit. Although I think older generations have this problem as well. I never know how to approach societies and explain that I can’t get there, but would even willingly financially reimburse a volunteer’s time if they’d be willing to do a lookup for me and email or mail it. I have tried using online volunteers, but they almost always disappear, or else they think I need help knowing how to use ancestry.com when, in fact, I’m fluent in ancestry.com. That’s not the issue. The issue is accessing microfilm from societies hours and even oceans away. Believe me, at the first opportunity I get, I will be in at least one of those countries’ historical societies researching away. For now… I’m out of options. And of course, whenever I get to visit the towns my parents and grandparents come from, I try my best. The trouble is that in one case, I only visit when there are important events. The last few times it was because of a family crisis, too, so not exactly a good time to sneak away and do research. 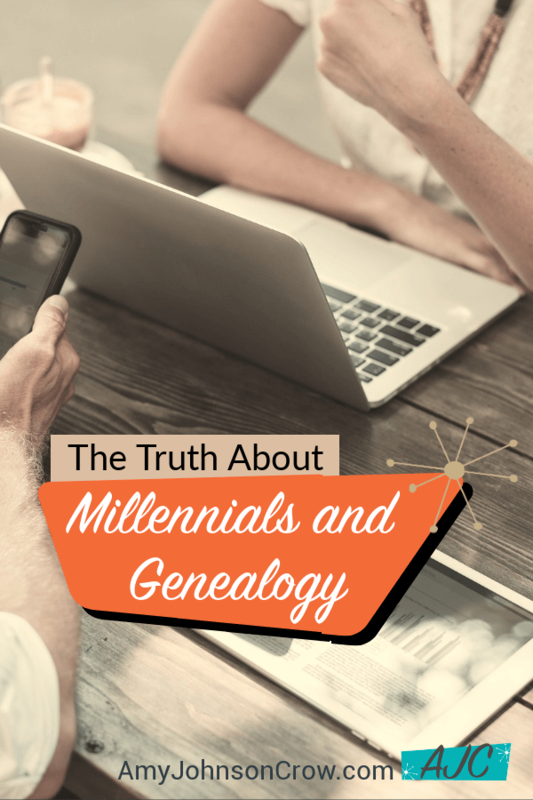 I’m also a millennial genealogist! One of the most frustrating things I seem to continually experience is a perceived lack of maturity from repository employees. I’ll go and try to look through records and the person will just stare at me the entire time – if they even let me physically touch them at all – while older people will be allowed to conduct research unsupervised. It’s especially frustrating because I show them my business card when I go to show I’m a professional, but 9 times out of 10, there’s a distrust there. Agreed. I’m an avid genealogist and have been doing it for 20 years – since the age of 16. But now, I’m a stay at home mom of a 3 and 4 year old (who most definitely wouldn’t be content to go where they can’t play, for hours and hours) and though I do use Ancestry, there are SO MANY records that are just not available to me there. I have heritage dating back to Greece, the Cherokee Nation, Germany, France, England, Ireland, Scotland, and a few other countries, and many of those records are not accessible to me online. It is very difficult to find someone who is willing to do the legwork for you, unless you’re famous (have a TV show) or rich (can afford to hire a dedicated genealogist who can do your tree for you). And I know for me, I don’t even want someone to DO the work for me – I just want them to, say, find and translate the records I need and send them to me. I love the thrill of connecting the dots together! For me, the biggest draw would be offering an AFFORDABLE and ACCESSIBLE volunteer who can do this at each research location, so that I can call and request someone locate X record and send me a (prefably translated) copy via email. You might want to check with genealogical and historical societies in the towns/counties where you need the lookups. Many of them have volunteers or will do record retrieval for a small fee. Look around were you are there may be a group of genealogist that can give you tip and trick that can help you. Just because they don’t know your family doesn’t mean that you can get a new resource or learn a new what to search (like boonleging) or maybe something else. 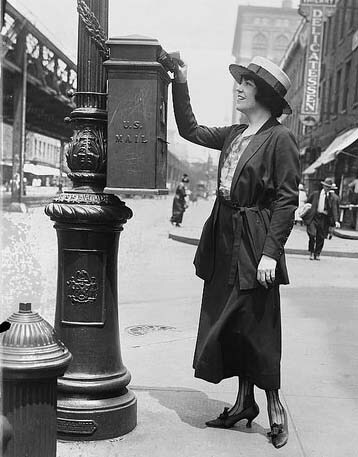 Your local genealogical society may have members researching areas all over the world. Visit and see if they can help you. You can join a society anywhere. Most have publications, such as Journals or Quarterlies with articles by members. Even if you can’t attend meetings, you get these. FamilySearch.org has microfilmed records from all over the world. Many can be viewed on your computer. Some have to be viewed at a Family History Center – many LDS churches have them. Check online for locations and hours. It’s not as much fun as a trip to the location, but if you go to the places where your ancestors lived, you probably would rather be sight-seeing instead of holed up in a courthouse or library. Write to historical societies, genealogy societies, libraries, college libraries, etc. in locations where you need information. Email doesn’t cost anything and a letter only costs a stamp. You may be amazed at the response. If they don’t answer or say NO, you haven’t lost anything except a little time. Ancestry.com isn’t the only source. 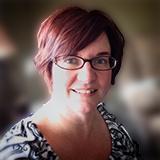 Check out Cyndi’s List to be overwhelmed with online possibilities. I try to make a connection. For example, my daughter is a musician. I shared with her that her great grandfather was a troop musician (her father did not know this) in WWI it lead to a discussion of where exactly he served…and why they even had troop musicians! Awesome, Glenna! That’s the way to do it! Perhaps “Discover” may be more appealing to some than “learn about”. Discover is a great word! Millennial genealogist here reporting for duty! I started getting interested in genealogy when I was in my mid-20s (I’m 35 now). I’m actually the one getting my older family members “into” our family history. I dragged my mom to genealogy conferences, workshops, and archives. She’s always been interested, but doesn’t want to do the research (her words, not mine). I don’t think I’m some sort of anomaly in my generation. I know so many people in my generation that are starting to wonder about their roots and family stories. Your daughter said genealogical societies are not trying to recruit younger people and they need to make millenial feel welcome. This is actually an evergreen issue. I am 57 now. I started doing genealogy regularly in 1991, when I wasn’t yet 30. I tried attending the local genealogical society, and felt entirely unwelcome. Most of the folks were older then than I am now. And some of the women flat out asked me why I was there. There was no point in doing genealogy until my kids grew up! I didn’t stick with the group long, but because nothing was online back then, I did have some encounters with them in the library, and at conferences, etc. Finally ran into folks that didn’t think I was a “freak”, realizing I was lucky to have some grandparents and grand-aunts/uncles still alive to ask for information. I have recently rejoined my local society — and I am STILL pretty much the youngest! Oh, and we do have “free” food and beverages before monthly meetings. It’s been a long-standing issue, for sure. 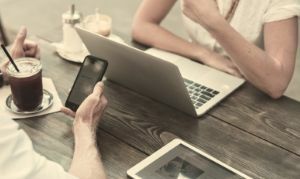 Unfortunately, so many societies now are facing not only the issue of trying to attract new (younger) members, but they’re battling against technology rather than leveraging it. So much of genealogy is always a work in progress! 🙂 Glad you enjoyed this episode. Well done! My daughter is a Millennial and is interested but only with the stories. 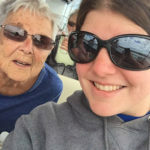 A friend of hers is just starting the genealogy journey and I am looking at starting a blog. I think I will get with her and maybe start a blog that is directed to Millennials with her help and input. That sounds like a great idea, Jannice! I am not a millennial but these comments ring true for me. By all means, definitely talk to your oldest relatives. Ask them questions like, how did you spend your summers as a child? What is your best memory growing up? Did you get to meet your grandparents on both sides? My sister got to visit our great-aunt in upstate New York. She still lived in the house she and her siblings grew up in. She had some good stories to tell, that we hadn’t heard from our grandfather. Once these family elders are gone so are their stories since it’s rare for them to be written down anywhere. Of course there are also stories that turn out to be fiction. Use the stories as a starting point to get more information from records. For example, One of my ancestors said he was in the battle of Gettysburg. However when I got his pension records from the National Archives, he served on a ship, not in the army! You are so right about that, Debra. We can usually find records later, but the stories are here for only a limited time unless we record them. My dear great niece Laney enjoys the information that I send her through the mail. She has a older sister Cassie who goes to college away from home. I want Laney to have information @ my mother’s siblings and their families Her mother’s name is Cindy who is divorced and has 2 kids living at home, Laney and her brother Quinn.I enjoy learning how to search for information @ my elusive family names. Totally agree that most people, regardless of age or group designation, is interested in where they come from and that they are not alone in the struggle to figure out where they fit in. I also think that the stories are much easier to relate to than a family tree. The tree is like the skeleton, but we all want flesh on those bones. If you think about it, the flesh/stories are what we are able to relate to and assimilate to learn from and make our own. Great information from both you and Rachel, Amy. Excellent topic and interview and so relevant. Because I was adopted, my millennial kids got interested in my journey to find my birth family. They don’t really relate to names on a page but the stories of the people I have met so far keep the history real for them. Also, because they love to travel, finding far off locations where some of their ancestors came from seems to make them more interested. It is true in our family too that the stories I pass on to my children (and their wives) and my grandchildren are what may have them “involved and interested”, not the item itself. For instance, I have a brass teapot I definitely want to pass down to my granddaughter from my grandmother. What makes it special? Not that it is old, but that it was one of the few things that my grandmother chose to bring over with her on the ship from Sweden in 1897 when she was a young girl of 19. It meant a lot to her to have something of her mothers along with her to keep that connection alive. I have written about it, including a photo of ‘Louisa Josefina’ immigrating as a young woman, and placed it inside the teapot for when in the future, items such as this will be passed down. We have just been looking at our Chapter and our goal is to embrace our future and know how to share our past. One of the things we found is millennials love time spent with someone. I realize that is hard when we are apart, but taking a family photo, writing a story and tucking it in a letter, works well for creating interest and gives us a line of communication to grow a passion. Everyone loves stories and pictures. I think it brings back wonderful feeling of sitting as a child and sharing a book or story in childhood. This has been wonderful to give us the idea to include a story in our Quarterly publication to draw the interest into genealogy and meet a desire to learn for the next generation. Thanks!!! I’m 70+ now, and I really don’t think that I was much interested in the family history when I was younger. I visited my Mom’s mom’s family – her aunts and uncles – regularly. For the most part they all still lived within walking distance of each other in Leicester, England. I really enjoyed seeing them, but they were just people. We didn’t talk about their genealogy. Mom’s dad’s family lived in the same street as we did. I grew up in the house that originally my great grandfather’s and was passed down to my grandfather and we lived in the front room till I was about 8. So again I knew these people, but nothing about their past. I never asked, and I was rarely told anything. I don’t think much has changed, except perhaps that we know that we should pass on the stories. I don’t think that was done “back then”. They may have been ashamed of where they came from, and for sure, what they did in WWI. Nobody spoke about that. I’m a millennial and I’m the family historian in my generation of cousins, lol. I know that my sisters and all of my first cousins, from Gen X to Z (big family), are very interested in our family history. Most of us just don’t have the time and resources to chase it down. For genealogy societies, I definitely want to be getting something tangible out of them that I can’t get elsewhere, especially if there’s a fee involved; I don’t have a lot of spare cash, so I need to be sure I’m not going to regret spending it. 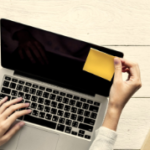 For example, the Ohio Genealogical Society includes a free subscription to FindMyPast with membership – that’s a good deal, because that means I can do more research. My two daughters are the Millennials, but I also have two granddaughters and four great-grandchildren (including the first 3 boys born in my direct maternal line after 7 generations of girls!). My daughters aren’t particularly interested, although they will listen to the stories, but my granddaughters are very interested in the families, where we came from, and especially the stories which let them know they aren’t alone in having troubles – it’s a family thing! As to our treasures, all my kids have said at one time or another “I can’t wait until you die to get [a particular family treasure].” They don’t mean it the way it comes out and we always laugh about it, but it is very interesting to know which mementos mean something to each of them. When I expressed my ocnvern that no one wanted to bother with my actual genealogy reseach and all, each and every one of my girls very enthusiastically said they would take it, even my Millennial ‘I don’t like STUFF’ daughter. It makes me very proud!! OOPS! Sorry, my GRANDDAUGHTERS are the Millennials, not my daughters – it’s hard to remember my daughters are in their 40’s because, of course, I’m only in my 20’s lol. I am a millennial, and I have been doing “research” for many years. I have alway want to find the stories. And I have always been the one that wants to write “the book” and put the stories in it, and I have started doing it. What I have found is you can say that is you great whom ever, but what make them different from me. I have the wonderful experience of meeting with my great aunt who has studied family history for many years and when she started doing it, there was no internet. She told me that she used to have to get the places to get things and couldn’t just sit on a computer. I have found so much more by going to a place rather than just looking it up. I have also show her how to use to use the internet and it is a give and take. I have found that not everything that is one the internet is true and, that even something as simple as going to the grave stone can tell a different story, like it was a family plot, or they where burried with there grandparents why? That isnt something that the internet is going to tell you, but you still want to know why right. I have found that I personaly like to have two or more credible sources because even documents online can be false. I enjoy going the research and learning different but I think that people want to know the stories but want to do little work to get them, and don’t check to see if there true. People don’t remember things and somethings people just don’t tell. What I would say is talk to everyone that you can because the older generation has a totally different view or and story then millennial and it can be totally different the than than internet. I also want to suggest anyone that gets stories write them down, or record them and source them, so that when the amazing (or not so amazing) people that you got them from are no longer here, the story doesn’t die, with them. This is consistent with what I have noticed when talking about genealogy with my younger family and friends… stories and photos. But the genealogy societies I belong to want documented trees… birth, marriage, death. Big disconnect between these two. First and foremost, I am a millennial (1992) genealogist and love your podcast. This episode really resonates with me, because my mother is also a genealogist and helped me get into it, thanks to a family mystery. It’s helped us grow closer, which I love. Like your daughter, I also love the “research” part, but I was happy to learn how to help appeal to my peers. Thank you both so much. My 31 year old grandson is really, really big into craft beer brewing; sells for a major wholesaler in Texas. Two days ago I found reference to ancestral society, Flagon & Trencher. He is a descendant of three already confirmed tavern owners. Let him know and while he may not want to join, I hope it triggers an interest in his extremely interesting ancestry, including a Signer of the Declaration, and his earliest immigrant ancestor in 1624 to NY. Oh well, I can dream. Don’t just dream! Tell him about his tavern-owning ancestors! Don’t lead with “You can join Flagon & Trencher.” Start with, “Guess what — you’re not the first in the family to be into beer brewing!” Tell their stories. I’m a millennial (born 1989) and have been interested in genealogy since I was 12. I was lucky to have and know my grandparents who were already in their 80s when I was born (both lived to 94). I was exposed to amazing stories from a generation much older than most of my peers’ grandparents, and I was always fascinated and interested to know more. What really piqued my interest was the “mystery” of my mother’s family patriarch, about whom we had much conflicting oral history, but almost no proof. I started manually searching un-indexed immigration records online at age 12 in an attempt to learn his origins. It’s a mystery we’re still exploring, as several generations before me have tried. I’m optimistic that DNA will eventually give us the answers we’re seeking, and hope that I’m the one to crack the case. My sister is at the beginning cusp of the millennial generation (born 1982) and I’ve likewise given her the genealogy bug. We’ve started taking genealogy vacations together every year or two, to dig into records that aren’t yet available online. Most relatives even in the Baby Boomer generation don’t understand why we would want to spend a vacation in libraries and county records offices, but “research” is something that we enjoy very much. We were also always encouraged to go look in our family’s encyclopedia set when we had a question that our parents couldn’t answer, so researching unknowns has always been a thing for us. I think the biggest hurdle I face for having any interest in genealogy societies is twofold: 1) My local genealogy group is only for people age 55+. They literally have a minimum age limit, and are unwilling to make an exception for me to join. I can’t tell you how insulting I find that to be. 2) I don’t want to play tech support for my parents’ generation, when I could be spending that time on research. My sister volunteers at her local family history library, and they think she’s a wizard because she intuitively knows how to quickly uncover relevant information online. She’s supposed to be indexing their foreign language section, but can’t get more than 5 consecutive minutes of work done on it, because the other volunteers are constantly asking for her help with online research. We’re a very tech savvy generation, and are well suited to the research tools that are now available to us. When I’m trying to interest my age group peers in the fun of genealogy, I personally sell it as “playing detective.” Many millennials have an interest in crime documentaries, and there is similar appeal in genealogical research. Their excuse for it is that they have access to a free meeting space at our Senior Center, which has a minimum age restriction for access to the facility. I don’t think they’ve made any effort at all to see if the city-owned facility will make an exception to the age limit for their organization. I’m certainly not going to do the work for them, if they don’t want to include my generation enough to bother trying. Hey Amy, “Millenials” read your blog, too! 🙂 Although, at age 40, I guess I fall in that micro-gen group called “Xennials” (those born at the tail end of the 70s who have characteristics of both GenX and GenY), still I often find myself to be the youngest person in the room in genealogy groups, societies, etc. I do hear a lot of the lamenting about young people not caring about family history, “who will I pass my research on to when I die?”, etc. My response is always, “What are we doing to engage these folks?” To be honest, genealogical societies can be intimidating places when you’re half the age of everyone there. What are we doing to welcome younger people into these spaces? Do we have a preconceived idea of what a “family historian” looks like? For example, if I walk up to a genealogy stall with my elderly mother, 99% of the time the people there will address her first (ironically, she could care less about family history!). As another commenter pointed out, distances are a huge problem. We’re all so far-flung these days. So, too, is time. And money. We are raising families, working full-time, and don’t have the disposible resources to tour records repositories and do far-flung cemetery trips (unless we’re professionals). Anyway, that’s my 2 cents, for what it’s worth. I know some of my readers are millennials — and I’m thankful! Great interview! Thanks for giving this question some thoughtful attention! As many have noted, to engage millennials–actually anyone–we need to tell the family stories. That’s definitely what my son wants to know (age 32) with what I uncover. And what I was lucky enough to be surrounded by growing up as my grandmother lived with us. For my niece’s recent wedding I gave her my mother’s wedding book (photographs, lists of gifts received, telegrams, etc.). For her sister’s new baby I passed on the baby photos of her father with my mother’s comments on the back. Both gifts were immensely popular because they made a personal connection. Thank you, Amy, for your wonderful blog and sharing your expertise. I’m the education director for my society and one of the things I talk about often is how to connect with the millennials in our lives. My advice is to tell the stories (and make it a different one each time you tell one). To have the grandkids ‘help’ with scanning the photos and talk about the people in the photos. To be a good listener and to drop breadcrumbs – not serve the entire banquet – when responding to a question. I think if we’ve been researching the family history for many years our tendency is to go on and on (and on and on) when they ask us about great grandpa and we end up sounding like the begats chapter in the Bible and they never ask again. I have a friend who face-timed with her teen-aged granddaughters every week. She asked what they did that week and she told them about what she did. She always mentioned ONE interesting thing that she found out about their family history that week (Great grandpa fought in the Civil War, Great gramma was a red-head – just something small). One week they all had lots of news and she finished and was telling them she’d talk to them next week when one of the girls said “Wait Grandma, you forgot to tell us about the genealogy!” It totally made her week. My point is that I know that the ‘younger generations’ are interested in their family history. As the ‘older generation’ we need to make sure that we share those stories with them in whatever way works for them and for us. RE: my experience with millennials in my family. They want to know the stories. They are busy establishing themselves and so are less inclined to investigate on their own, but are eager to listen to/read about the stories that make up our family. They will often ask specific questions that relate to topics in the news (what did Grandpa do during The War?). And other times they will ask opened ended questions (what have you discovered lately about our family? or What are you working on?). And they love it when I can reveal something in their ancestors looks or lives that parallels their own experiences. I have amassed a huge amount of family history for myself and my husband and have wondered what to do with it all as at the moment none of our descendants seem interested. For Christmas 2018 I gave our grandchildren a USB drive with all our photographs going way back and now I am about to digitize my information (enormous job!) to add to these USB drives. I would like to leave this for my grandchildren lest at sometime in the future they become interested in Family Tree research and there will be more than one copy. I am concerned as to what will happen to all my hard copies when I am not around but at least all my hard work over many, many years will not be lost and they will have a foundation upon which to start. There are genealogy codicils online (google “genealogy codicil”); check with all libraries & archives around your area/county/state to see if they will accept your material. So a little detective work & I’m sure you will find some great information and a repository. Oh and a genealogy codicil can be added to your will or trust at any time. Holding on to Family things u until kids are at least 30 My own daughter in not really interest either. For myself, my children were born before 1981 and my grandkids were all born after 1998. One of my kids is interested in ancestry and two of the grandkids are also. Missed out on the millennial group it would seem. Reading some of the comments left, I was glad to see that I am not the only one putting images of pictures, photos and lots of family information on a USB drive. Yes, it’s a lot of work, but well worth it I believe. I have to say that the more things change, the more they stay the same. What you said in general about millennials (rude, terrible work ethic, etc) has been said about every generation by the previous generations. I do agree with you on one point: they were poorly taught history. Sadly, that hasn’t improved much for the students who are in high school now. Our genealogical society in The Villages, Florida makes a strong point of education about sources and tools; I think that is the key to getting the next generation interested. The emphasis on Family History is also key. In fact, one of the executives at Roots Tech a few years ago highlighted this as the hot button for younger generations. Rachel also brought up the important point of wanting to find yourself. Pointing out to millenials, or any younger generation, the uniqueness of our family by our words and deeds can be a strong motivating factor. The other day I was listening to a genealogy podcast (not yours) and the host would go on and on about how great microfilm was and how having things online these days just aren’t as good because you miss out on all the joys of going through reels of microfilm to find that one item. And yeah I’ve heard other genealogists express the same thing. Problem is that you’ll never attract anyone new to genealogy (millenial or otherwise) by trying to sell them on microfilm. I guess I am not a millennial.. But I am 14 and pretty much obsessed with genealogy! I am involved in many local genealogical and historical society’s and am even the assistant librarian at one ! It is something I will never want to stop doing!